Cryptozoic Entertainment, leading creator of board games, trading cards, and physical and digital collectibles, today announced that it will sell six exclusive vinyl figures, several convention-exclusive trading cards, and selected tabletop games at Booth #244 at New York Comic Con 2018, October 4-7 at the Javits Center. 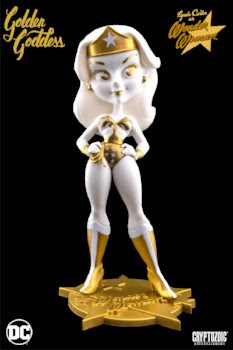 The exclusive figures include the newest Golden Goddess collectible and variants of figures from Cryptozoic’s most popular lines, including DC Lil Bombshells, DC TeekeezTM, DC Pumps, and CryptkinsTM. In addition, the company will sell Series 3 of its DC Bombshells figures and the Outlander: Jamie Fraser figure, a Cryptozoic-exclusive sold at conventions and online directly from the company. The convention-exclusive trading cards being offered are based on Rick and Morty, Outlander, and Cryptkins. 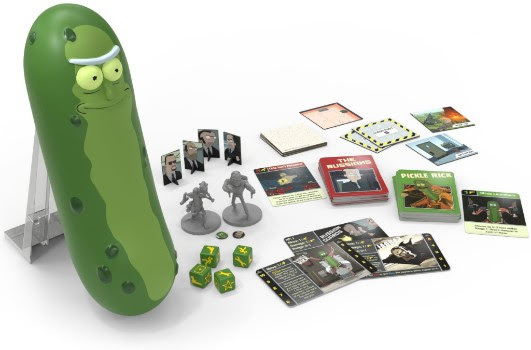 Finally, Cryptozoic will sell several tabletop games, including Rick and Morty: The Pickle Rick Game, PantoneTM: The Game, and the newest game in the fan-favorite DC Deck-Building Game series. 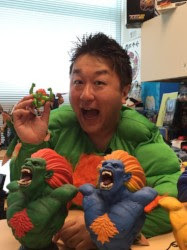 Cryptozoic will have a signing session with Street Fighter video game producer Yoshinori Ono on Friday, October 5 from 2 to 3 p.m. Ono will sign Cryptozoic’s popular Street Fighter Knockouts and Lil Knockouts figures, which will be available for purchase at the booth. Golden Goddess Lynda Carter as Wonder Woman: This is a variant of the regular vinyl figure that pays tribute to Lynda Carter’s iconic rendition of the character in the 1970s Wonder Woman TV series. Like the previous releases in Cryptozoic’s popular Golden Goddess series, it sports a stunning gold-and-white design inspired by classical Greek sculpture. Designed by Pedro Astudillo and sculpted by Anders Ehrenborg, the 7-inch collectible comes packaged in Cryptozoic’s signature window box, each of which is individually numbered from 1 to 250. It will be sold for $40 plus tax. 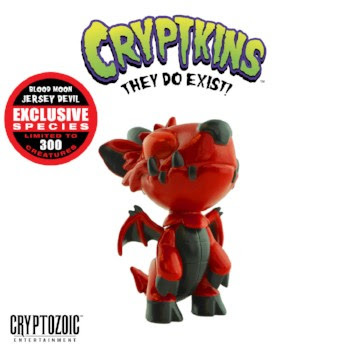 Blood Moon Jersey Devil (CryptkinsTM): This is a variant of the regular Cryptkins vinyl figure, part of Cryptozoic’s original collectibles line inspired by creatures that have been the subject of folklore and tabloid headlines for decades. Sculpted by Sam Greenwell, this version of the figure features red paint as a nod to the color of the blood moon, which—like the Jersey Devil—has long been the subject of creepy, spine-chilling stories. It’s perfect for the Halloween season! The 2.25-inch collectible comes packaged in Cryptozoic’s signature miniature crate with an “Exclusive Species” foil sticker. Only 300 figures were produced and each will sell for $10 plus tax. 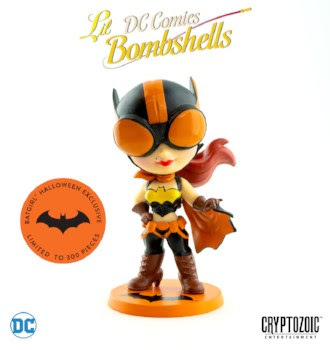 Halloween Batgirl (DC Lil Bombshells): This is a variant of the vinyl figure from Cryptozoic’s retro-style DC Lil Bombshells line that features DC’s favorite female characters. This version of the figure sports orange, brown, and black colors as a nod to the Halloween season, as well as the Halloween Batgirl statue from DC Collectibles. Each figure is stamped with the Batgirl logo on the base and is individually numbered (from 1 to 300) on the bottom. Designed by Pedro Astudillo and sculpted by Sam Greenwell, the 2.75-inch collectible comes packaged in Cryptozoic’s signature, collectible tin with a foil sticker that includes the Batgirl logo. Each figure will sell for $25 plus tax. 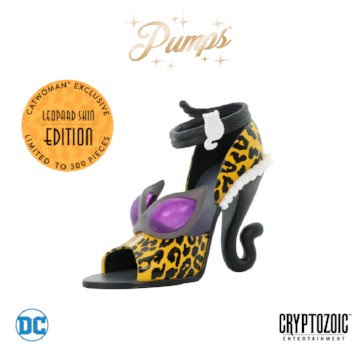 Leopard Catwoman (DC Pumps): This is a variant of the figure from Cryptozoic’s DC Pumps line, which features miniature high-heeled shoes inspired by the costumes, props, and personalities of DC’s favorite female characters. This figure pays homage to Catwoman’s love of all cats, small and large, as well as the enduring popularity of leopard print fashion. The 2.25-inch collectible comes packaged in a high-fashion-style shoebox with a foil sticker marking it as exclusive. Each figure is individually numbered (from 1 to 300) on the bottom and will be available for $15 plus tax. 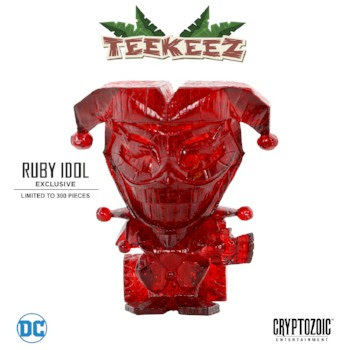 Ruby Idol Harley Quinn (DC TeekeezTM): This is a variant of the figure from Cryptozoic’s DC Teekeez line, which is inspired by tiki culture and features iconic DC characters and a distinctive wood-carved aesthetic. Designed by Mark Doublin and sculpted by Stephan Ehl, this version of the figure is ruby-colored as a nod to Harley’s love of the color red, particularly when it comes to her outfits. The figure is also inspired by the tendency of ruby idols to be precious items that are chased in popular culture. The 2.625-inch collectible comes packaged in Cryptozoic’s signature window box with a foil sticker marking it as exclusive. Like all DC Teekeez, it is stackable. Only 300 figures were produced, with each available for $15 plus tax. 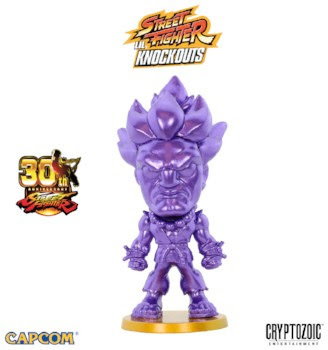 Metallic Purple Akuma (Street Fighter Lil Knockouts): This is a variant of the regular Street Fighter Lil Knockouts vinyl figure, part of Cryptozoic’s collectibles line featuring characters from the long-running video game franchise. This version of the figure is painted entirely purple as a tribute to the color of Akuma’s energy when he does various versions of the series’s trademark Hadouken attack. Each figure is stamped with “30th Anniversary” on the base and is individually numbered (from 1 to 300) on the bottom. Designed by Pedro Astudillo and sculpted by Sam Greenwell, the 2.75-inch collectible comes packaged in Cryptozoic’s signature, collectible tin with a foil sticker marking the 30th anniversary of the Street Fighter series. 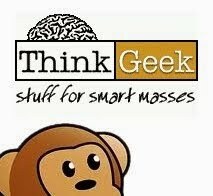 Each figure will sell for $12. Fans can get their figures signed by Street Fighter producer Yoshinori Ono during his signing session at Cryptozoic’s booth. 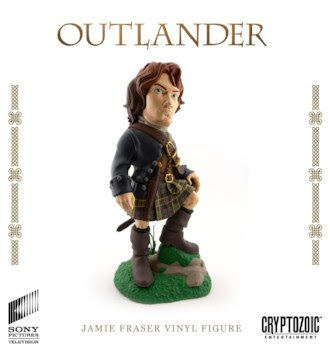 Outlander: Jamie Fraser: Based on the fan-favorite character in Starz’s Outlander TV series, the limited edition figure—only 3000 produced—is a Cryptozoic exclusive, only available at shows like New York Comic Con and via the company’s eStore to be shipped directly to customers. Designed by Pedro Astudillo and sculpted by Stephan Ehl, the 7-inch vinyl figure captures Jamie Fraser as portrayed by Sam Heughan in the historical time-travel drama Outlander. Standing on the rocks in 18th century Scotland, Jamie dramatically looks out into the distance.The figure comes packaged in a full-color closed box designed to look like a box for a high-end bottle of Scotch, a nod to fans who have dubbed images of Jamie Fraser in the Scottish Highlands as “Scotch on the rocks.” Each figure will sell for $40 plus tax. 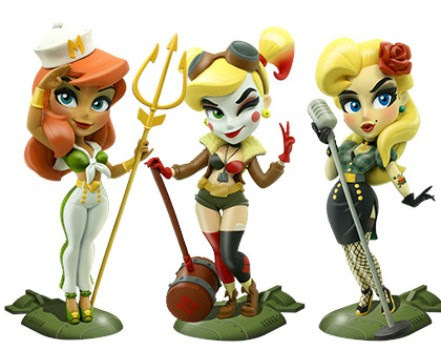 DC Bombshells: Series 3: The latest installment in the hugely popular line of 7-inch figures features Harley Quinn in an all-new pose, Mera, and Black Canary. Inspired by 1940s pin-up art, the figures have the trademark style and attitude fans have come to expect. Designed by Pedro Astudillo and sculpted by Anders Ehrenborg, each Series 3 figure comes packaged in a display-worthy window box. 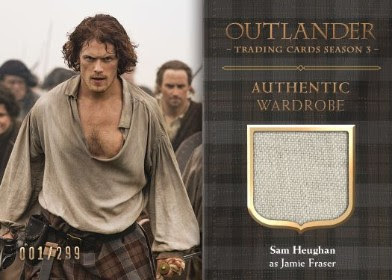 Outlander Trading Cards Season 3 — Wardrobe Cards CE4 and CE5: For $25 each, fans can get two exclusive Wardrobe Cards featuring pieces of fabrics used in the production of costumes worn by actors Sam Heughan (Jamie Fraser) and Caitriona Balfe (Claire Fraser) in the third season of Starz’s hit time travel drama. Only 299 of each card will be available. 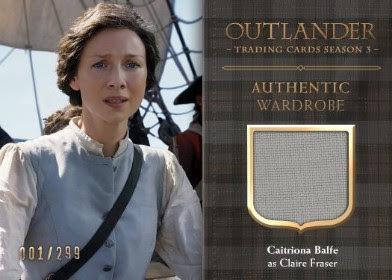 Later this year, Cryptozoic will release Outlander Trading Cards Season 3, which will feature a 72-card Base Set, three Chase Sets, and randomly inserted Autograph Cards and Wardrobe Cards. Rick and Morty Trading Cards Season 1 — Convention-Exclusive Pack: For only $5, Rick and Morty fans can get this five-card pack that contains an exclusive card that cannot be found in the Rick and Morty Trading Cards Season 1 release. 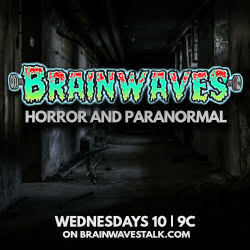 There will be random Autograph Cards (1:24 packs) signed by voice cast member Jess Harnell and Sketch Cards (1:24 packs) by some of today’s hottest artists inserted in packs. 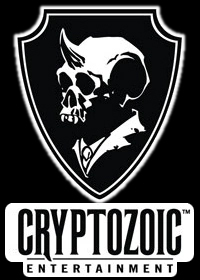 CryptkinsTM Trading Cards — Convention-Exclusive Pack: For $10, fans can get this six-card pack featuring Cryptkins, Cryptozoic’s popular original IP inspired by creatures that have been the subject of folklore and tabloid headlines for decades. 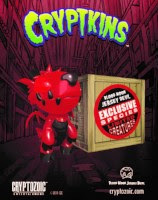 After a popular launch of Crypkins vinyl figures and the Cryptkins Channel on the Quidd app, this pack brings them to the world of trading cards. Each pack includes two Promo Cards, two “Which Cryptkin?” cards, one original hand-drawn Sketch Card, and one Download Card for a Blood Moon Jersey Devil digital figure on the Cryptkins Channel on Quidd. 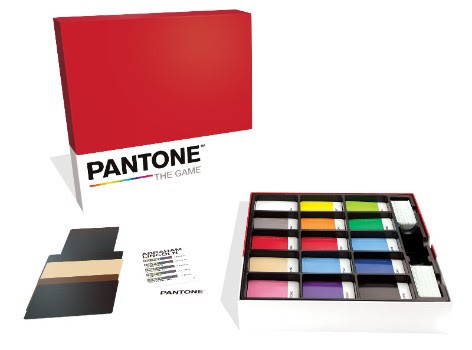 PantoneTM: The Game: In this easy-to-learn competitive party game, 2-20 players try to recognize characters from pop culture who are represented only by abstract arrangements of colors, inspired by Pantone™, the world’s leading color expert. Designed by Scott Rogers (Rayguns and Rocketships, the God of War video game series), the game has garnered glowing reviews from many outlets, including highly regarded podcast and YouTube channel The Dice Tower. 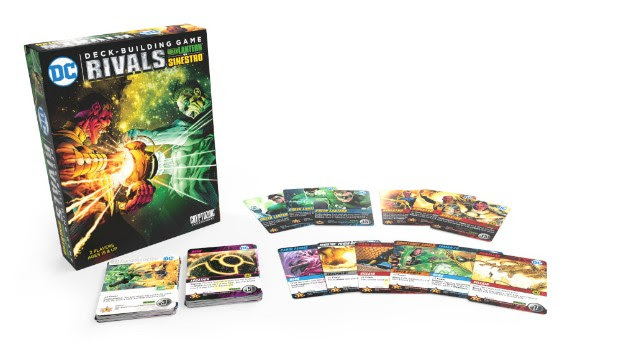 DC Deck-Building Game: Rivals — Green Lantern vs. Sinestro: In this deck-building game that utilizes Cryptozoic’s popular Cerberus Engine, two players become iconic rivals Green Lantern and Sinestro and engage in direct Confrontations. As the game progresses, players buy more powerful cards and attack and defend until their opponent’s three oversized Character cards are defeated. When the game is released later this year, Cryptozoic will also make available DC Deck-Building Game: 2018 Organized Play Kit 2, which includes instructions for stores to run tournaments for the DC Deck-Building Game, as well as a limited-edition Playmat, 12 Gypsy Hero Promo Cards, and a Gypsy poster. Retailers can order it from their distributors.